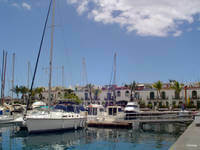 Our first Tip of things you should have seen during your internship on Gran Canaria is Puerto de Mogán. The village where the port is based is rightly called “Venice of Gran Canaria” and presents itself with wonderful little flat white houses, which are built along narrow streets. Numerous canals lead to the sea and give this small fishing village the Venetian style. The lively promenades are on weekends often filled with musicians and immerse the place in a pleasant and romantic atmosphere. 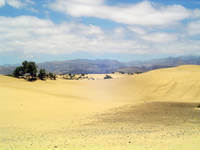 The dunes of Maspaloma, are also famous for Gran Canaria, they are a fascinating natural phenomenon. The Dunes, at their widest point, are 1.5 km and consist of more than 400ha sand, there are many species of plants can be seen which have been under protection since 1987. At the western end of the Maspalomas there is a small fresh water pond with various animals such as ducks, grouses, plovers and herons which are brooding in the reeds. It is an absolute highlight on Gran Canaria and worth seeing. 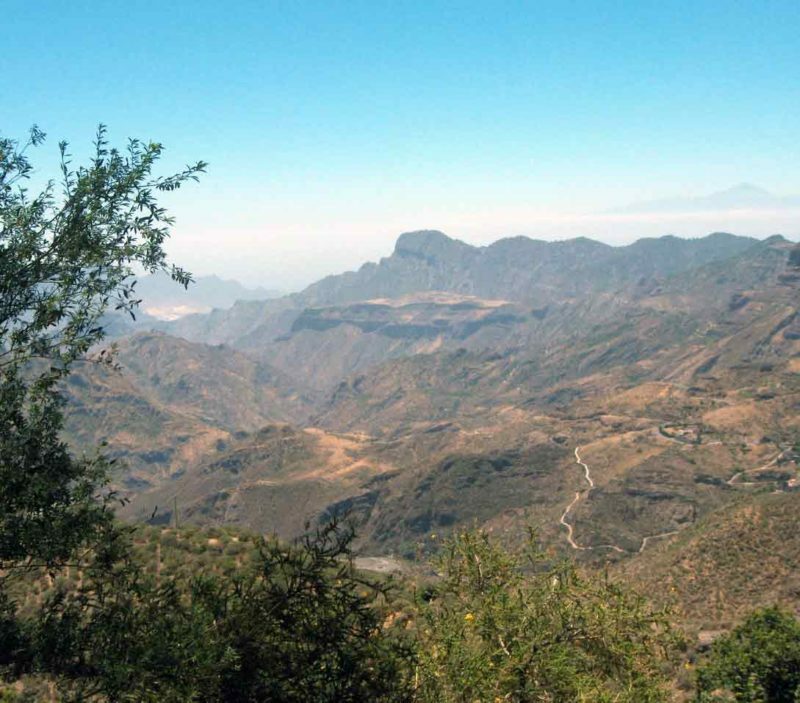 Artenara is 1270m above the sea level the highest village on Gran Canaria. It has about 1200 inhabitants who live for the most part in caves, which are more than several 100 years old, but there are also some “new” constructions which are only 30 years old. The main advantage of the cave life is the steady climate in these pores of earth – in summer times the thick walls help to keep the flat cool and in winter times they avoid the cold that comes in. Due to Artenara´s hight it can get relatively cold during the winter months. The church is built on a mountain top and is not only the centre of the village but also the starting point to get to one of the most beautiful restaurants in Artenara – the Mesón Mirador La Cilla. It was reopened in 2011 and is reachable through a 50m long tunnel above the church. 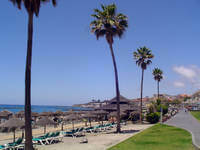 It has a big terrace with a breath taking view over the landscape and it offers typical tasty Canarian dishes. When you are already in Artenara during your internship on Gran Canaria, visit the cave chapel Virgen de la Cuevita. This 80m² chapel is dedicated to the patron saint of cyclers and folk musicians and has an altar made from hardened volcanic ash, tuff; a confessional and pulpit inside. The chapel is always open; you can go there for a short visit without any problems. With its various little attractions, Artenara is the perfect number 3 for our list! Even more caves can be seen in Cenobio de Valerón. With 298 niches in the walls and chambers made from the same hardened volcanic ash, tuff. The group of caves looks like a gathering of swallow nests. The natives stored their corns and cereals there. From Tuesday to Sunday the Cenobio de Valerón can be visited for only €2,50. During your internship on Gran Canaria you should also take the time to go to one of the flea markets that take place every Sunday then take time to relax near the Parque Santa Catalina. Among 1000s of other visitors you can buy little presents for your friends, family and yourself while rummaging and listening to live music. An absolute must for every flea market lover! For our culture interested interns we can recommend a visit to the Museo Canario in Vegueta. Here you can learn something about the Canarian history and see the biggest collection of old canarian finds. From the famous “Idol of Tara”, a plump female clay figure that symbolizes fertility, to skeletons, skulls and well-preserves mummies everything can be admired. The opening times during working days are from 10:00 to 17:00 and on weekends from 10:00 to 14:00 o’clock. The entrance is about 3€ per person. Another famous place of the island is the landmark of Ayacata/Roque Nublo: A 1813m high basalt block which reaches the sky. To admire this phenomenon about a 30 minute walk on a small path from the parking area is needed. On sunny days you can see Tenerife and wide parts of the Gran Canarian landscape while standing on the plateaus. The two neighbouring rocks Fraile and Rana look –out of a certain perspective- like the profiles of a monk (fraile) and a frog (rana) and are very interesting to see as well. A little bit further uphill is a big picnic place called “Llanos de la Pez” where people have barbecues and meet on the weekends, so it offers the perfect opportunity to meet some inhabitants at the tables and build up new friendships. The sugar bakery is famous for its sweet treats across the whole island. Who wants to try marzipan cake, mantecados and piñones? You should definitely not miss this place during your internship on Gran Canaria! Of course we cannot leave out a recommendation for the very active nightlife on Gran Canaria. The shopping centre in front of the Santa-Catalina-Park is colourful and exciting during the night. Here you can meet the young people of Las Palmas and turn the night into day. There are different open levels from which you have a great view over the city and over the port and there are several pubs and clubs next to each other giving you plenty of variety. On the roof is a big open-air disco located under a tent roof and from midnight on until the early morning you can celebrate your time with many other people.